Description: Flight over the staircase to #Dragonstone where #GameofThrones filmed a scene in Season 7. At the end you will see the shore where #Daenerys first lands and touches the sand. The real-life location is at San Juan de Gaztelugatxe in Spain’s #BasqueCountry. 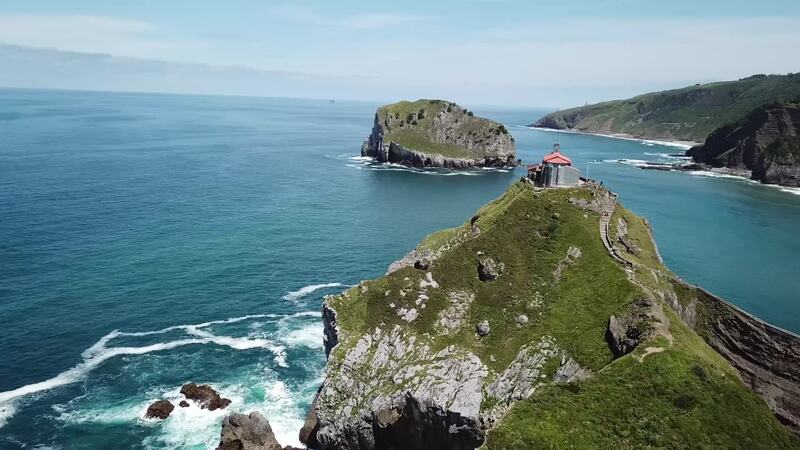 Tradition says that after climbing to the Chapel of #SanJuandeGaztelugatxe if you ring the bell three times your wishes will come true and you will be free of evil spirits.